Whether you are a big game hunter, plains marksman, or target shooter, the precision of your sports optics counts above all else. Only sports optics by Carl Zeiss deliver the astonishingly bright clarity, precise color rendition, and largest possible fields of view to ensure that no matter what you do outdoors, you never miss a single detail. For over 100 years, ZEISS sports optics has been trusted in the field above all others by discerning sportsmen who demand more from their outdoor experience. Every instrument is painstakingly crafted to exacting specifications and designed to handle the most punishing calibers and the most rugged terrain. Meaning they are as comfortable on a short hike through grassy foothills as they are trudging through thorny brush and unforgiving backcountry. When you look at the world through ZEISS sports optics you�re not just getting closer to your subject, you are offered the pinnacle of the hunting experience. In low light, driving rains, or any other condition nature dares throw at you, ZEISS sports optics gives you the confidence and safety to ensure the shot of a lifetime actually becomes the shot of a lifetime. Every component, from the sophisticated optics and precision reticles to the elegant, ergonomic bodies, is a measured synthesis of intuitive design, legendary German engineering, and supreme craftsmanship. There is no other way to put it: Carl Zeiss is the unquestioned leader in sports optics. In 1846, an inquisitive German innovator named Carl Zeiss changed the way we see the world. What began as one man's quest for a better microscope has, through the decades, enabled millions of people to see the full splendor of the natural world in startling clarity and unmatched brilliance. Over a century and a half of balancing precision engineering and state-of-the-art design has firmly planted Carl Zeiss at the pinnacle of the optics world. Giving geneticists the ability to isolate and laser individual cells in the fight against cancer. Designing camera lenses that help produce the stunning images for Google Earth. Making the most sophisticated optics for machines that produce the majority of today's semiconductor memory and processing chips. And giving birders and naturalists the ability to digitally capture what they see as they observe. All told, ZEISS has been behind an astonishing diversity of applications that even our founder Carl Zeiss would never have imagined. Zeiss optics have helped scientists win Nobel Prizes, filmmakers win Oscars, birders spot elusive species, surgeons complete exacting operations, and ordinary people receive the gift of improved vision. No wonder the world's most sophisticated optical instruments carry the Zeiss brand name. The same insatiable curiosity that inspired Carl Zeiss to design a more perfect lens in 1846 still drives us today to continue seeking answers to life's big questions: What's around the next bend? Over the next ridge? Inside the smallest pieces of matter? Within the deepest folds of the imagination? Beyond our solar system? The world is full of nuance and subtlety. 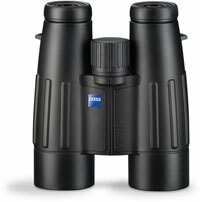 To see it all is to see it through a Zeiss lens, the finest optics in the world.